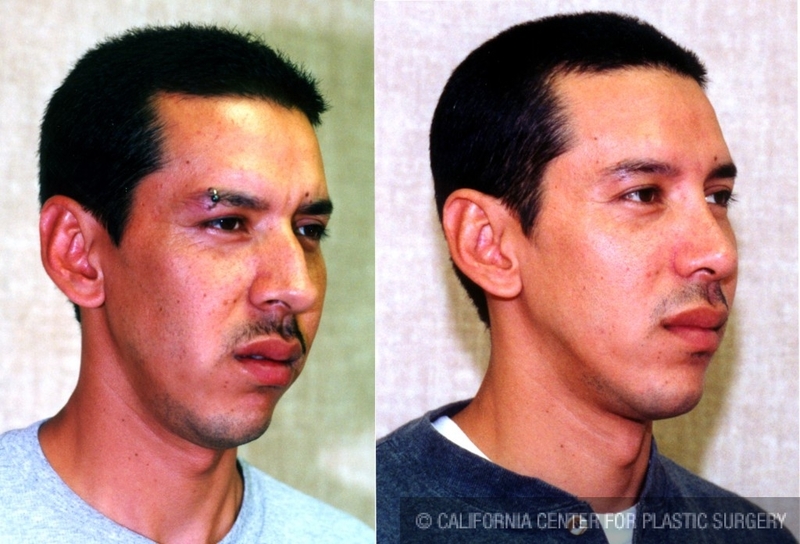 These are before and after nose surgery pictures of a 32 years old Hispanic male from Bakersfield who underwent a closed rhinoplasty with septoplasty and turbinectomy by Dr. Sean Younai, a board certified plastic surgeon, who specializes in nose surgery as well as other facial plastic surgery procedures. 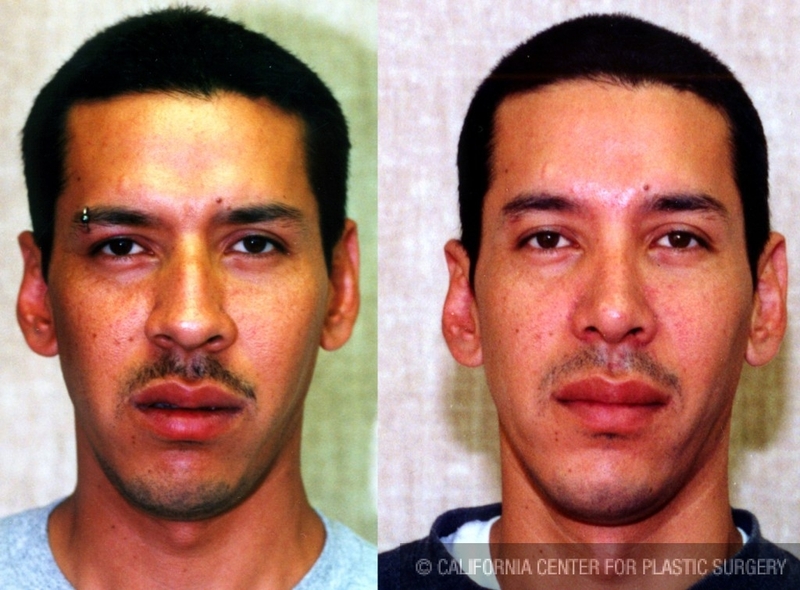 Prior to rhinoplasty, he had done much research online about different techniques of nose surgery, and had decided to travel from Bakersfield to Los Angeles to have nose surgery by a plastic surgeon who was experienced in closed rhinoplasty. 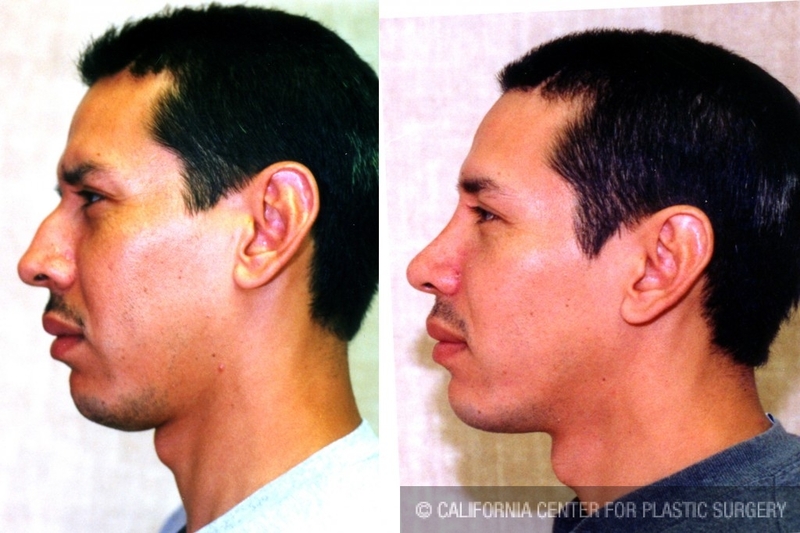 He had read that closed rhinoplasty technique offered patients a faster recovery with reduced swelling. After recovering from his nose surgery he was very pleased to see that his new nose matched his face well. He was also pleased to see that his nose still looked masculine and natural. Since his nose surgery he has recommended Dr. Younai to his other family members for cosmetic surgery.